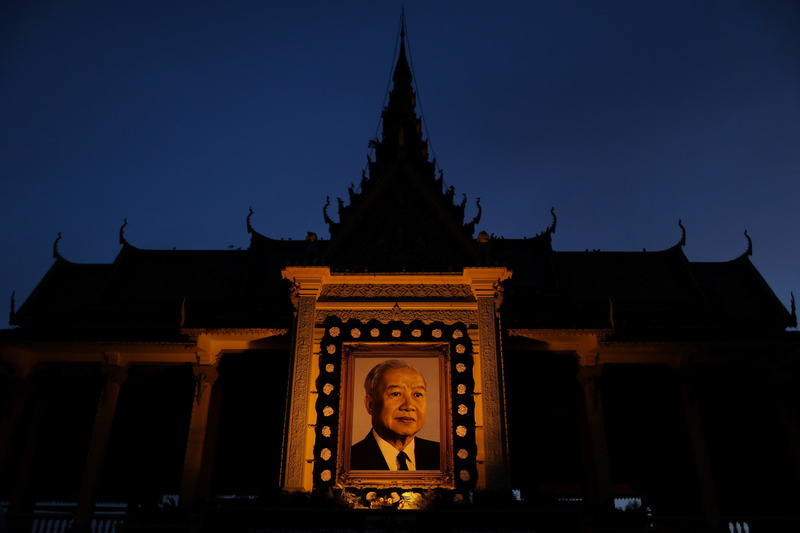 Former King Norodom Sihanouk died of a heart attack last October in Beijing at the age of 89. For the past three months his body has been lying in state at the Royal Palace. Officials expect more than one million people to line the streets tomorrow to witness the funeral procession. The former kings body will be transported to a cremation site where it will be kept for three days before his wife and son are expected to light the pyre.